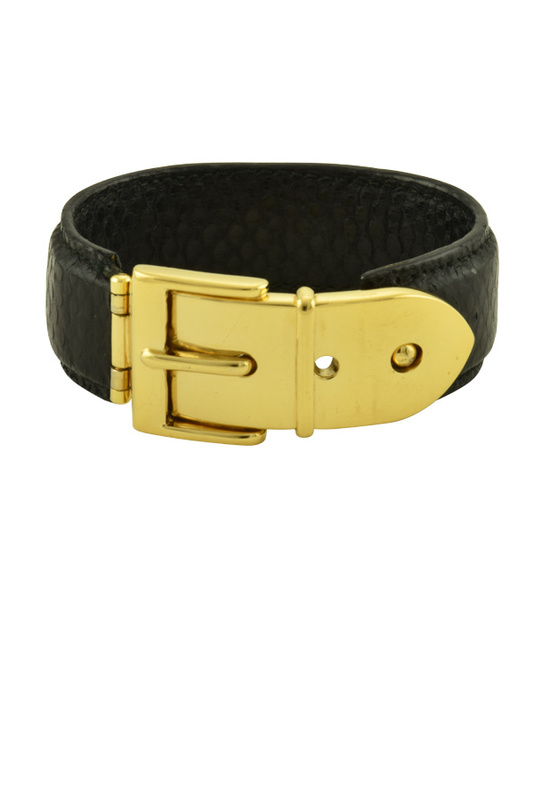 Dotted black lizard skin leather overlay with gold tone metal buckle. Inner circumference: 7.9", Width : 0.85". Belt motif snap clasp closure.